Pretty much everyone is familiar with the basic workings of the Internal Combustion Engine (ICE); essentially, a flammable mixture of fuel and air is ignited in an enclosed space, and the rapidly expanding gases from the resulting combustion force an offset piston to rotate a shaft. By the mid 1600’s European scientists had begun experimenting with engines driven by controlled explosions of gunpowder, primarily using the charges to create a vacuum in order to power water pumps; the first working example was most likely created by the Dutch mathematician and natural philosopher Christiaan Huygens in 1679. 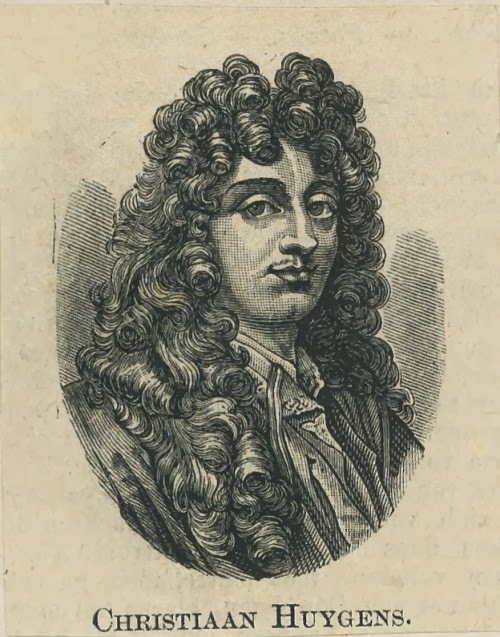 According to sources, Huygens turned a cannon on end to create a vertical cylinder and inserted a piston above a modified breech. He then attached two leather tubes to the top of the barrel. When the gunpowder at the base was lit the piston drove the gasses upwards, blowing the tubes open; when the pressure fell, gravity pulled the leather down causing the tubes droop to the side of the cylinder and sealing the holes. There is little evidence that the bulky, impractical device ever saw much use, although various other scientists of the period (and even as late as 1807) devoted volumes of research into the principle. That cannon was the first true internal combustion engine, and by 1712 English inventor Thomas Newcomen had begun production of a commercial atmospheric steam engine using the same piston concept: this heralded a technology that would dominate mechanical power through the Industrial Revolution and into the early decades of the 20th century. 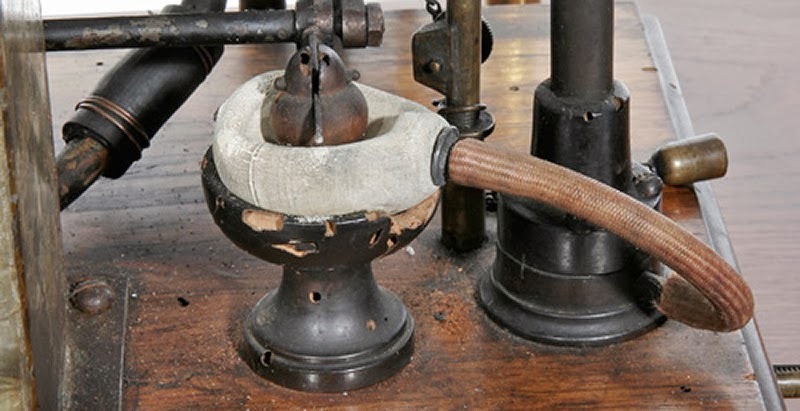 Yet even though the ICE was sidelined by the rise of steam power, these early experiments would eventually prove to be the foundation of one of the most remarkable mechanical inventions in human history. Despite their obvious advantages over sheer muscle power, steam engines were still relatively large, unwieldy and inefficient. 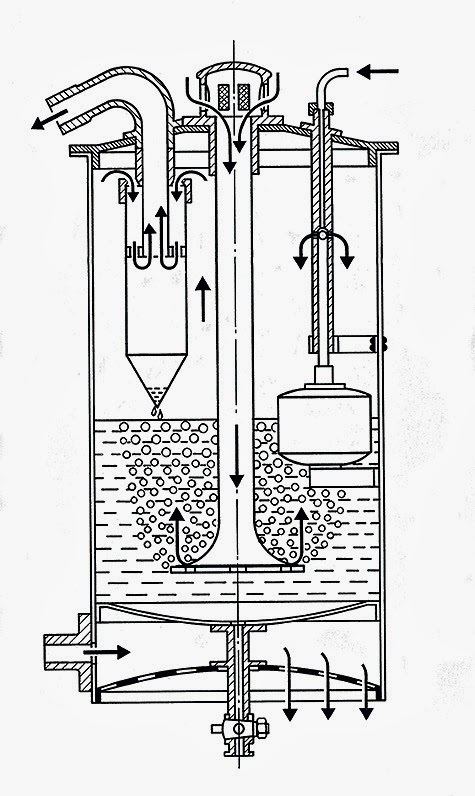 The primary obstacle in development of a practical ICE was a reliable and economical fuel source. In 1847 James Young, a Scottish chemist, was studying a natural petroleum seepage in Derbyshire and began distilling what we now know as paraffin or kerosene. 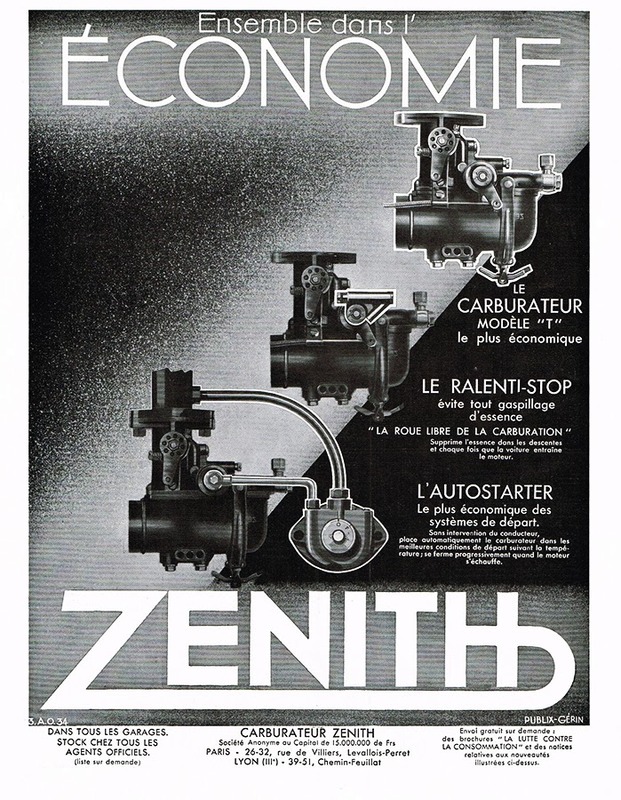 Petroleum products soon replaced whale oil as a fuel for lamps, and as refineries began springing up around the world designs for a new internal combustion engine were suddenly very much on everyone’s mind. The mechanics were already well known, and with this inexpensive and seemingly inexhaustible fuel supply it appeared that the perfect power plant was within grasp. But one hurdle still remained; it wasn’t enough to simply generate an explosion in a confined space, you had to have a means of controlling that explosion. In fact, you really need a controlled rapid burn. Put in the simplest terms, a carburetor is a device that blends air and fuel for an ICE. Combustion requires two essential components, fuel and oxygen; the earliest functional internal combustion engines relied on flammable gasses such as hydrogen or coal gas, which could be more or less controlled by valves. 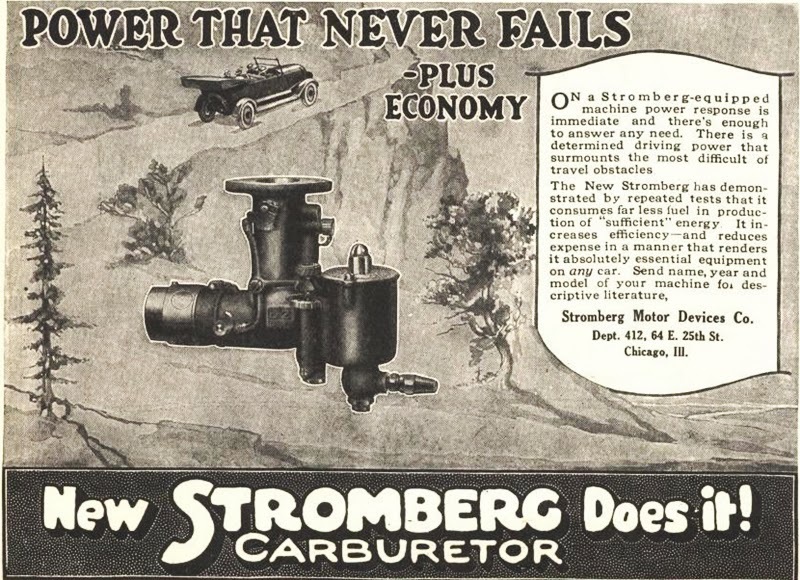 Technically speaking, the first carburetor was invented in 1876 by Luigi De Cristoforis for a hydrogen gas engine. But in order to generate the rapid combustion needed to drive a piston from a relatively slow burning liquid fuel like gasoline, that liquid must first be oxidized. Enrico Bernardi carburetor on the “Motrice Pia“, the first petroleum fueled ICE. The “atomizer” was a carburetion device used on the first motor car equipped with a gasoline engine, built by Siegfried Marcus in 1875. The rotary-brush atomizer used by Marcus had an integrated fuel reservoir and feed unit. 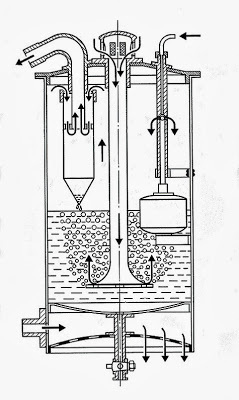 As the pulley-driven brush revolved, it swept gas out of the reservoir and threw it into an air stream; the suction effect created by the pistons drew the mixture into the engine. In 1882 another Italian engineer, Enrico Bernardi, designed the first simple surface carburetor in which the air was charged with fuel simply by being passed over the surface of gasoline at pressure. Liquid fuel carburetors work on Bernoulli’s principle: the fact that moving air has lower pressure than still air, and the faster the air is moving, the lower the pressure. The throttle or accelerator does not control the flow of liquid fuel; rather, it controls the amount of air that flows through the carburetor. Faster flow and larger volumes of air entering the carburetor draw in more fuel due to the partial vacuum that is created. Three years later in 1885 German engineer Karl Benz received a patent for his Motorwagen, the first gasoline driven automobile designed for commercial production. Driven by a 954 cc single-cylinder four-stroke engine, the first model used a basin of fuel soaked fibers that supplied fuel to the cylinder by evaporation but that was soon replaced by an evaporative carburetor controlled by a sleeve valve to regulate power and engine speed. Benz’s “surface carburetor” doubled as a reservoir for 1.5 liters of gasoline. The precise composition of the fuel/air mixture was adjusted by a sleeve-type slide control that covered the bores in the additional intake duct to a greater or lesser extent, thereby controlling power output. This slide control was fitted within easy reach underneath the driver’s seat. In 1893 Dr. F. W. Lanchester, a British automotive pioneer, was building motor cars that used wick carburetors, an improvement on the atomizer. It consisted of several compartments; the bottom compartment held fuel, with wicks extending from a compartment above that which became saturated with the fuel. Vapors given off by the wicks were mixed by drawing air into the compartment above the fuel storage area. The fuel/air vapors then flowed to the engine, passing first through wire mesh that served to filter out impurities. 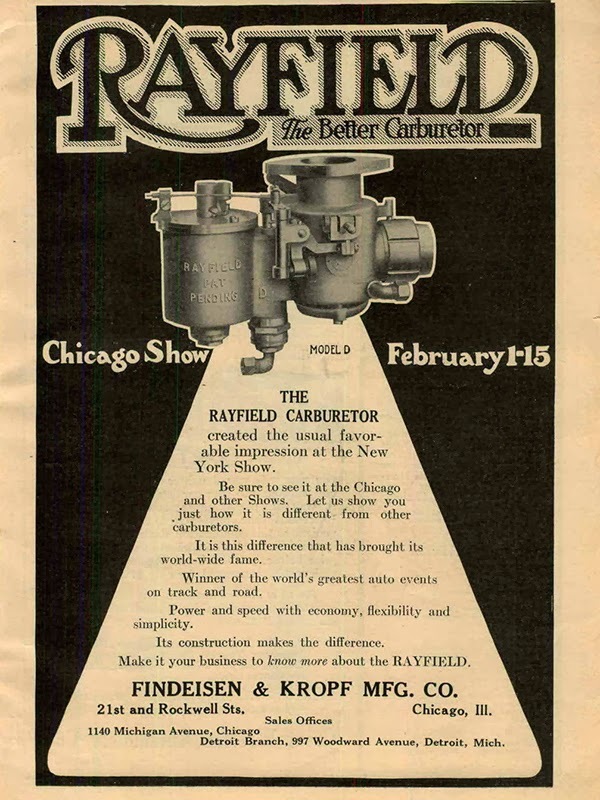 This was the world’s first carburetor fuel filter. In 1887 the English inventor Edward Butler built a three wheeled vehicle known as “The Butler Petrol Cycle” which featured a four stroke water cooled engine that achieved 600 rpm. He is credited with first using the word “Petrol” as well as inventing the spark plug, magneto, coil ignition and spray jet carburetor. Unfortunately, Butler’s vehicle was unable to achieve much publicity due to new government restrictions (the 1865 Red Flag Act) put in place to control the growing number of steam powered devices appearing on public roads; the maximum speed was 2 mph in the city and 4 mph in the country side, and each vehicle had to be attended by 3 people with one walking in front waving a red flag to warn other road users and help control horses. Because of this Butler’s vehicle never went into production and little is known about his original designs; engineers and designers in countries with less restrictive traffic laws soon took the spotlight. Maybach’s float-type carburetor was, in retrospect, a design of revolutionary proportions. 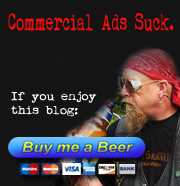 Its survival for this many years tends to prove this: gas from a fuel supply tank flows by gravity into the carburetor’s float chamber or bowl. As gas fills the bowl, it causes a float (Maybach used a float made of sheet metal) to rise; when the float reaches a certain height it forces a needle valve to close, which halts the flow or fuel to the engine. The fuel was then sprayed into a second mixing chamber and the mixture was drawn up into the engine by piston vacuum. This float design allowed Maybach to attain a consistent flow of fuel to the engine. Unlike the atomizer and wick carburetors, the float carburetor lessened the tendency of engines to flood. Note that the fuel mixture was drawn up into the engine; the Maybach carburetor was an updraft unit, an approach to carburetion that lasted until the late 1920s when the first cam-operated mechanical fuel pump was invented. The fuel pump permitted automakers to move fuel tanks to the rear of their cars and place carburetors high on the engine. As automobile design and production took off, there were constant requirements for more powerful engines which could operate at varying speeds. Fuel-on-demand became a critical factor that the original Maybach design couldn’t fulfill; the solution was discovered by Butler in 1900. In the 1790’s Italian physicist Giovanni Battista Venturi had discovered that by reducing the bore of a pipe, he was able to increase the velocity of fluid and force it to break (atomize) into smaller particles. Butler applied the Venturi principle to a float-type carburetor by narrowing the throat of the fuel delivery passage (now known as the venturi). This allowed for greatly improved oxidation and even more protection against engine flooding. Improvements to the Maybach design between 1900 and the late 1920s led to the jet-compensated carburetor which is still with us. This unit uses jet circuits, air bleeds, vacuum-operated economizer valves and throttle-operated metering rods to attain very specific fuel/air ratios calibrated for various speeds and loads. The first dash-mounted gas gauge by Studebaker in 1914. The first carburetor air cleaner, introduced on the 1915 Packard Twin Six. The 1922 Rickenbacker used the dry-type air cleaner. 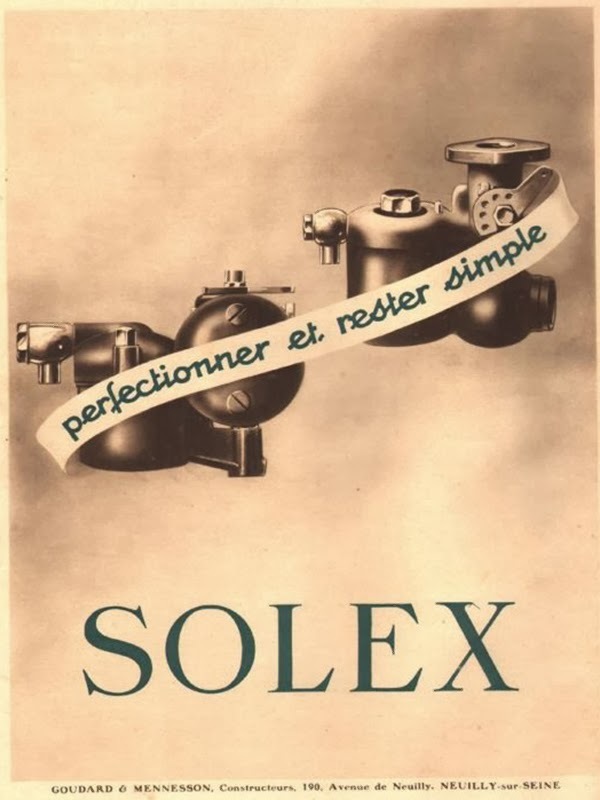 The first thermostatic automatic choke, which was introduced on the 1932 Oldsmobile. The design has remained basically the same to this day. The first four-barrel carburetor by Buick in 1941. 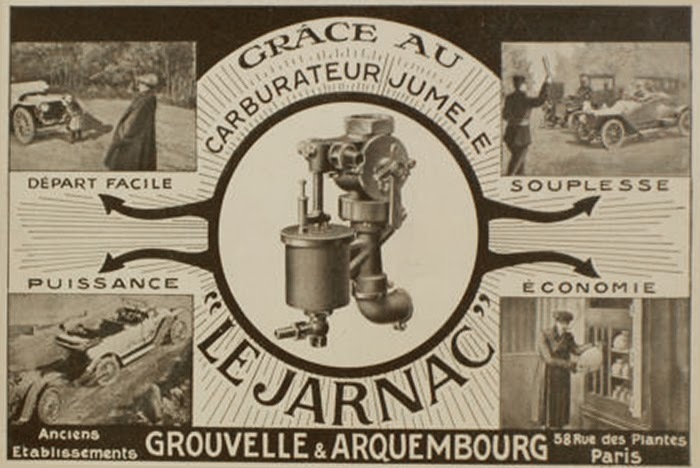 Components of modern day carburetors usually include a storage chamber for liquid fuel, a choke, an idle (or slow-running) jet, a main jet, a venturi-shaped air-flow restriction and an accelerator pump. The quantity of fuel in the storage chamber is still usually controlled by a valve actuated by a float. The choke, a simple butterfly valve, reduces the intake of air and allows a fuel-rich charge to be drawn into the cylinders when a cold engine is started. As the engine warms up, the choke is gradually opened either by hand or automatically by heat and speed controllers. The fuel flows out of the idling jet into the intake air stream as a result of reduced pressure near the partially closed throttle valve. The main fuel jet comes into action when the throttle valve is further open. Then the air-flow restriction creates a reduced pressure for drawing fuel from the main jet into the air stream at a rate related to the air flow so that a nearly constant fuel-air ratio is obtained. The accelerator pump injects fuel into the inlet air when the throttle is opened suddenly. 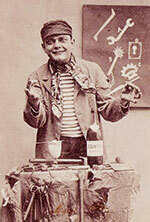 In 1910 Adams Farwell of Dubuque, Iowa, pioneered a non-carbureted fuel system called fuel injection. 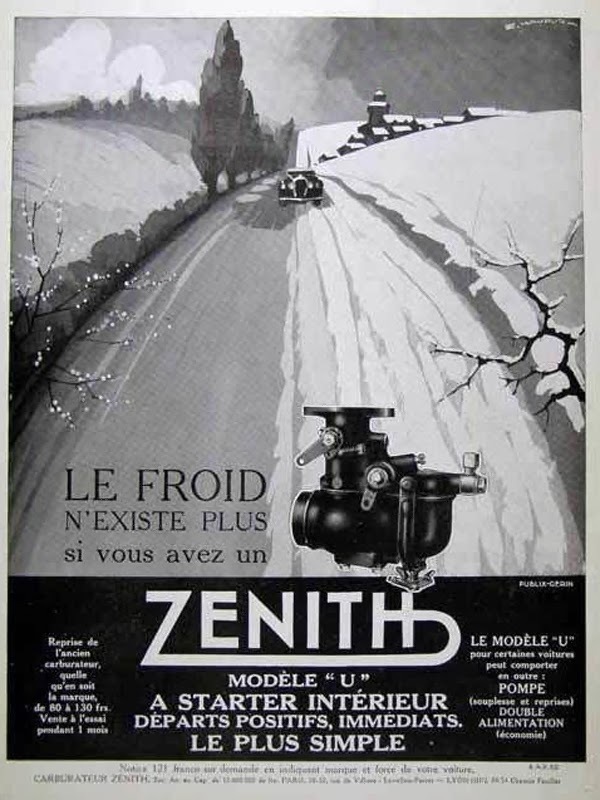 Farwell’s system was refined and adopted for diesel engines, but it wasn’t until after World War II that it was applied to gasoline powered engines. 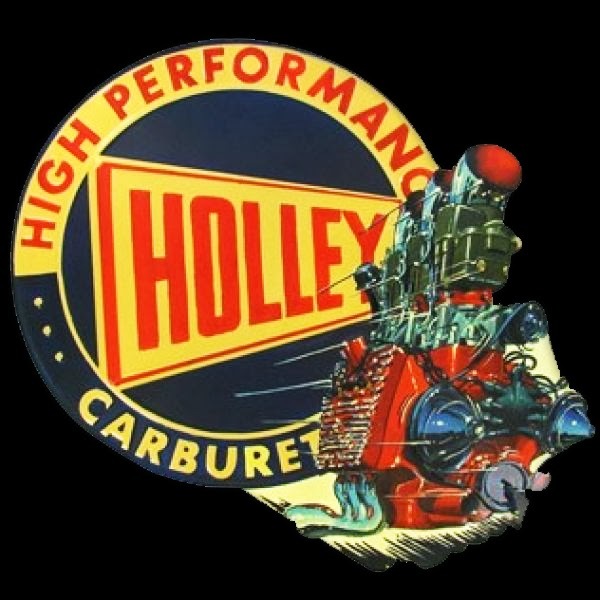 In 1949 Automotive Digest said, “Some automotive men feel that fuel injection for passenger automobiles is nearing the climax in experimentation and may soon make its bow to the driving public.” The carburetor remained king for another 35 years, but as smaller engines and greater fuel mileage have become issues fuel injection has gradually taken over. By 1986 practically all gasoline engines had electronically operated fuel-injection systems instead of carburetors.